beautiful bowls – part two. All weather is soup weather for this girl! It’s been a while since my last soup post, but you can bet I’ve been on a mission to find some tried and true soup spots that are mouthwatering, reliable (i.e., they taste just like your remember them to taste from last time), and well worth the price. 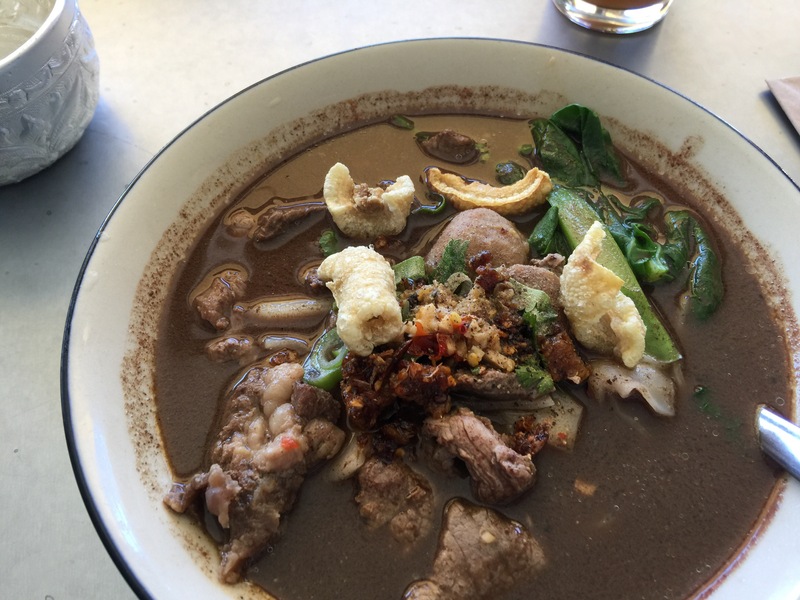 Boat Noodles Larb Thai Tapas in El Cerrito is one of my favorite places for quick, not fussy Thai food that makes you feel like you’re at a cafe in Bangkok. Get the boat noodle soup with the thick noodles (my fave!). The broth is rich and the meat is hearty. It’s got fried pork rinds, and liver upon request (though I haven’t requested this yet). Ask for the assortment of spices to please your palette and enhance the flavors of the soup. The marinated jalapeños will add heat and a vinegary punch. It’s the perfect lunch on a rainy day type of meal, and then you won’t be able to wait until you’re hungry again to eat the leftovers (if there are any). Tom Kha with Noodles Banana Leaf Thai, you’ve won my heart/stomach (same same!). 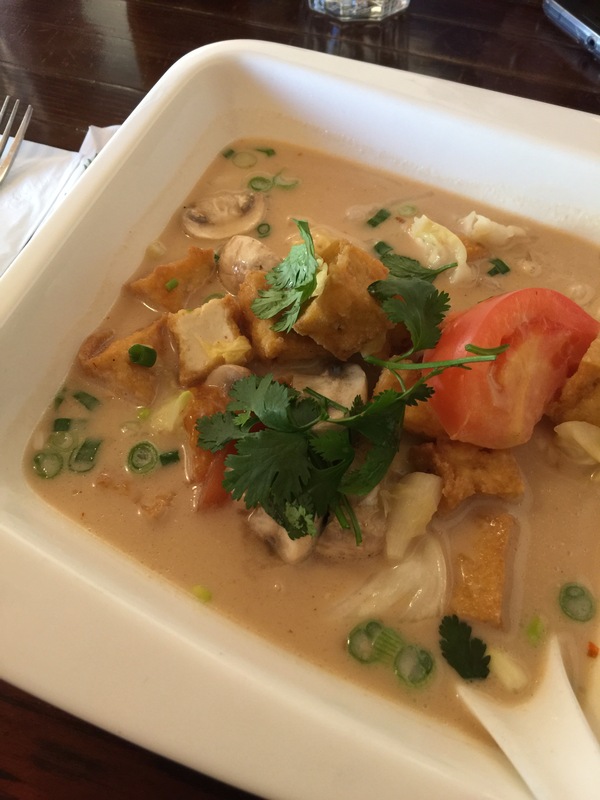 Some Thai places won’t add noodles to their Tom Kha; Banana Leaf Thai will let you! Tucked away in a mini mall in Richmond, Banana Leaf Thai has all the delights my appetite yearns for. I ask for, yup, you guessed it, thick rice noodles in my soup. The warm coconut broth, the fresh cilantro, and fried tofu give you all the textures and flavors that make for a perfect bowl of tom kha. Try it with chicken, too. Spicy Beef Soup I’ve been to Mint Leaf many times over now, and I used to always get the wonton noodle soup and never turned back. But one day I decided I’d mix it up! There’s a new favorite in town. 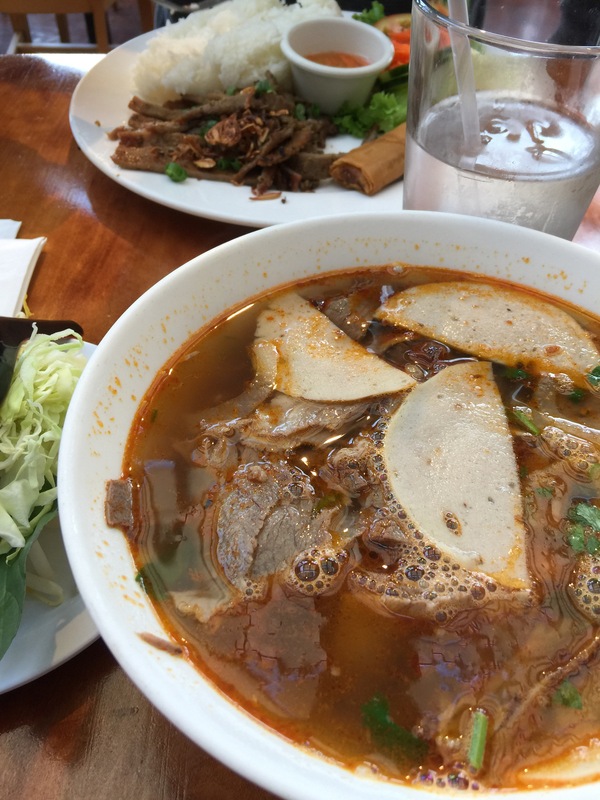 I’d had the spicy beef noodle soup in the past, but recently tried it again with the rice noodles you get in pho. That’s where it’s at, y’all! I get the spice, I get my beef, I get my noodles. Happy soup day to you!